It plays as hard as it works. Windows 8.1 gives you the power to quickly browse, watch movies, play games, polish your resume, and pull together a killer presentation - all on a single PC. The Start screen. Personalize your Start screen with your favorite news, friends, social networks, and apps. Customizable colors and backgrounds and four different tile sizes make your device as unique as you are. The apps you want. In addition to great built-in apps for e-mail, people, photos and video editing, you can also download thousands of popular apps from the Windows Store, including Netflix, ESPN, Skype, and Halo: Spartan Assault. With the new Windows, you get the best of work and play. 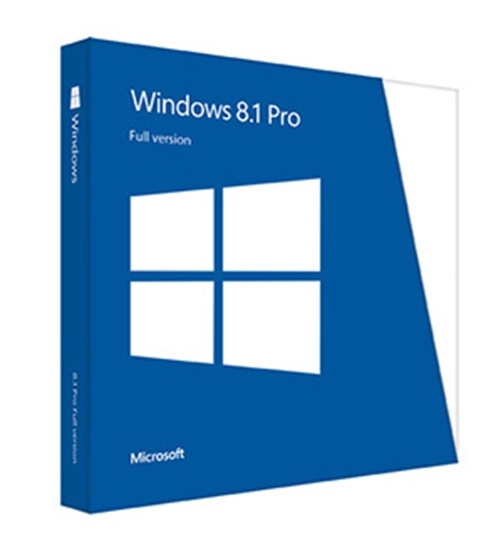 Windows 8.1 Pro includes everything in Windows 8.1, plus enhanced features that help you easily connect to company networks, manage your devices, access one PC from another, encrypt your data, and more. Copyright © 2019 Vista IT. All rights reserved.